Are Untested Combination Vaccines Killing Our Children? Out Of Mind » POISON PLANET » VACCINE TRUTHS: MEDICAL INDUSTRY LIES » Are Untested Combination Vaccines Killing Our Children? It appears that the pharmaceutical industry is trying to cram as many vaccines as humanly possible into one syringe and advertise these combination vaccines as safe and effective. In reality, however, a growing number of medical professionals are concerned that administering too many vaccinations to an infant at one time increases their chance of suffering an adverse reaction. This is especially the case for combination vaccinations, and it appears that the fears of medical professionals are justified, because, over the years, history has painted a very disturbing picture. In October 2000, the 6-in-1 vaccination Hexavac was first licensed for use in Europe. The vaccine manufactured by Sanofi Pasteur was formulated as a combination vaccination that combined the diphtheria vaccine, tetanus vaccine, acellular pertussis vaccine, recombinant hepatitis B surface antigen vaccine, inactivated poliomyelitis vaccine and Haemophilus influenza vaccine in one syringe. Just five years later, however, the vaccination was withdrawn from use by the European Medicines Agency for “commercial reasons.” However, Dr. Klaus Hartmann believes that the vaccine was withdrawn for very different reasons. In a 2015 documentary, titled We Don’t Vaccinate – Myth and Reality of the Vaccination Campaigns, he explained his reasons why. To pay for a link to the full movie click here. Watch in HD/1080p. Here we had another problem with Hexavac. A pathologist had autopsied a child who had died two days previously, after getting the Hexavac vaccine. He found that the child had a massively swollen brain, something that he had never come across before in his career as a pathologist. Several other cases were mentioned; it was not just this one child. Consequently, Dr. Hartmann resigned from his post, and a year later, the Focus magazine stated that the mortality rate among the vaccinated babies in the first 48 hours after a vaccination with Hexavac was 2.5 times higher than the average mortality in this age group. Naturally people became very disquieted simply because the probability of death following a vaccination had been shown to triple, so there they sat in conference rooms, asking themselves how they could handle the situation. Fortunately, they had good advisors because these idiots at the Robert Koch Institute had their study financed completely by the vaccine manufacturers, which is why when all this happened they had to immediately notify their sponsors industry, for the more they wanted to have experts available for dealing with the public relations aspect of the vaccinations, they of course are employed by the vaccine manufacturers themselves. The publication of the study results was delayed for two years, as the pharma industry had to hold numerous meetings and lectures to address the issue. Finally, they announced that everything was OK, that absolutely nothing unethical had happened, they simply reshuffled data and redefined parameters, they simply used statistics to make the link between the vaccinations and the casualties disappear. When looking through the data bank of the Paul-Ehrlich-Institute, you will find very few deaths and suspected cases, listed. At the same time constant mention of the fact that it is still unclear whether these cases are really vaccine related. If now for example, there is no increase in the number of deaths between the fourth and the seventh day after vaccination, then only this is mentioned in the medical papers. When however, we take a look at the days before and after this period to find out what the mortality rate is, we suddenly see an enormous increase. In the shorter German version, it is only stated that the vaccines are safe and that multiple vaccines pose no significant risk of an increase in the infant mortality rate. In 2011, news leaked about another dangerous 6-in-1 vaccination, which had also been licensed as safe and effective. Reports revealed that a confidential GlaxoSmithKline document had been leaked to the press, which exposed the fact that within a two-year period, a total of 36 infants had died after they had received the 6-in-1 vaccination, Infanrix Hexa. It’s not that 14 deaths were recorded by GSK between October 2009 and end in October 2011 as we had originally calculated but 36 (14 from 2010 to 2011 and 22 from 2009 to 2010). In addition to these 36 deaths at least 37 other deaths (sudden death mainly), bringing the total to at least 73 deaths since the launch of the vaccine in 2000, and again, this concerns only the death by sudden death, no further recovery of under-reporting. Using the figure of 36 deaths over a two-year period, the figures averaged 1.5 deaths per month, which I am sure most will agree is extremely high. It should also be noted that only 1 to 10% of adverse reactions to vaccines are actually reported. Therefore, in reality, the problem could potentially be far more serious and the actual number of fatalities could have been much higher. The charts revealed that many of the infants who had passed away had died within the first few days of receiving the vaccine. A total of three infants were reported to have died within hours of receiving the vaccine. This was hardly surprising, given the vaccination’s ingredients, which were listed on the GSK Infanrix Hexa product information leaflet. Sadly, it is not only the 6-in-1 vaccinations that are believed to be killing our children, because according to reports, multiple deaths are also occurring after the 5-in-1 vaccinations. Towards the end of 2016, a flood of reports from India revealed that 237 children had died after being vaccinated with pentavalent (5-in-1) vaccinations. There were three deaths following the use of pentavalent vaccine in Sri Lanka. The Government of Sri Lanka suspended the use of the vaccine. WHO experts investigated the deaths. They found there was a clear temporal association of the deaths to the vaccine (WHO terminology, meaning the deaths followed soon after vaccination) and there was no alternate explanation for the deaths. According to the standard protocol in investigation of vaccine deaths these deaths would have to be declared as ‘probably’ caused by Pentavalent vaccine. The experts balked at the prospect of giving such a report. No country would use this vaccine after that. Instead they wrote in their report that they were deleting ‘probable’ and ‘possible’ from the standard classification. The report maintained that although it was probably related to the vaccine, they were reporting it as “unlikely” to be related to vaccination. The full report was not published online, only the conclusion was made public. However, it appears that their lies eventually caught up with the World Health Organization (WHO), because the pentavac SD, the main pentavalent vaccination that was licensed for use in India, was manufactured by the Serum Institute of India. Serum Institute of India Pvt. Ltd. is now the world’s largest vaccine manufacturer by number of doses produced and sold globally (more than 1.3 billion doses) which includes Polio vaccine as well as Diphtheria, Tetanus, Pertussis, Hib, BCG, r-Hepatitis B, Measles, Mumps and Rubella vaccines. It is estimated that about 65% of the children in the world receive at least one vaccine manufactured by Serum Institute. Vaccines manufactured by the Serum Institute are accredited by the World Health Organization, Geneva and are being used in around 140 countries across the globe in their national immunization programs, saving millions of lives throughout the world. Interestingly and crucially, however, the Serum Institute of India is not only accredited by the World Health Organization, but they also have an affiliation with the Gates Foundation, UNICEF and GAVI Alliance (Global Alliance for Vaccine and Immunisation). Pentavalent, which protects against diphtheria, tetanus and pertussis (DTP) as well as hepatitis B (hepB) and Haemophilus influenzae type b (Hib), was first introduced with GAVI support in Kenya in 2001. South Sudan became the 73rd and final GAVI-supported country to introduce the vaccine on the 16th of July 2014. However, it appears GAVI has more than a casual relationship with the Bill and Melinda Gates Foundation. Careful research shows that they were the organization that actually set up GAVI Alliance in 1999. Nearly two million children in the worlds poorest countries die from preventable diseases every year because they do not have access to life-saving vaccines. The GAVI was established in 2000 to save children’s lives by expanding immunisation in poor countries. In its first ten years, GAVI-financed programs have immunised more than 280 million children, thereby saving more than five million lives. Saving Children’s Lives: GAVI Alliance Pledging Conference for Immunisation was held in London on Monday in which city-based vaccine major Serum Institute of India has participated. The objective of the conference was to bring together GAVI donors and partners. Vaccine manufacturers were specifically invited to demonstrate their active contribution to counter the financing challenge and making significant pricing and/or supply announcements. The mission to further children’s health in developing countries had been at the heart of the institutes business model right from when we started manufacturing life-saving vaccines at the lowest affordable prices and providing them to UNICEF and PAHO. In early 2017, Asianet Newsable announced that the Indian government had chosen to cut some of their funding ties with the Bill and Melinda Gates Foundation and their involvement with the Indian immunization program. The Gates Foundation was working with and funding the Immunization Technical Support Unit (ITSU), which provides strategy and monitoring advice for New Delhi’s massive immunisation programme that covers about 27 million infants each year. The Indian government has now distanced itself from the programme and refused their funding as well. 1. There were concerns that the BMGF was facilitating external (foreign) interest in this immunisation programme, bringing big pharmaceutical players to test, and market their products in India. This is in reference to the Foundation’s backing the Global Alliance for Vaccine and Immunisation (GAVI) and Public Health Foundation of India (PHFI). Concerned organisations have cited this as a conflict of interest. 2. In India, GAVI has been responsible for introducing the Hepatitis B vaccine into the Universal Immunization Programme (UIP), a vaccination programme launched by the Indian government in 1985. 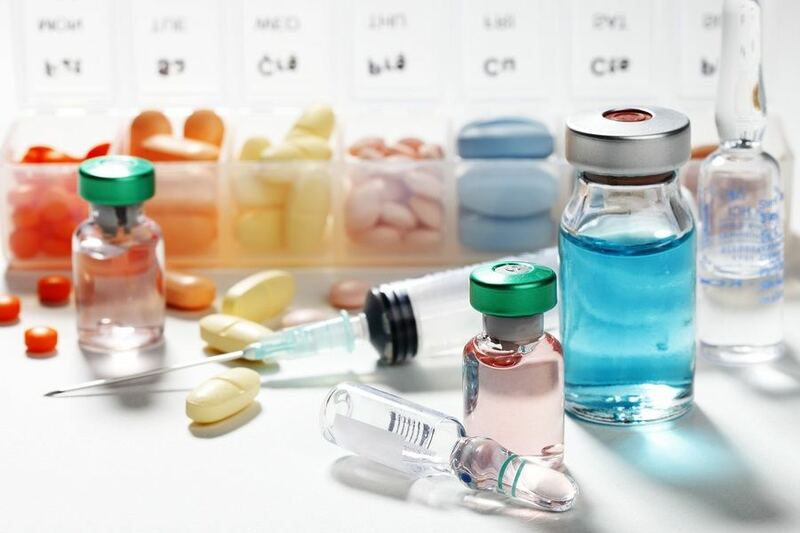 The liquid Pentavalent vaccine is a replacement of DPT and Hep B vaccines, containing a combination of diptheria, pertusis, tetanus (DPT), Hepatitis B and Hib Meningitis antigens. The government of India decided to introduce it in UIP, as per WHO recommendations in 2011. However, there are allegations that without considering the experience of other countries using this vaccine, it was introduced in India and has resulted in a lot of infant deaths. The question lies that how were these vaccines allowed to still be promoted in different states under the National Immunisation Programme despite there being reports of deaths regarding its usage? Reading her article in full, which we highly recommend, will demonstrate that not only do the BMGF have many conflicts of interest but in their attempts to convince the Indian government that the pentavalent vaccines were safe and effective, they failed to mention the deaths that had been associated with this vaccine.